Outfield drills that cover every aspect of the position are necessary but often neglected because at the lowest levels of baseball the outfield is used to hide weaker players, as only a few batted balls reach there. This changes as outfield becomes a vital position for team defensive success when players reach more advanced levels of baseball as with travel baseball around the age of 12. When field size grows at the age of 13 and above, outfield play becomes crucial to a good defense. People forget that the field size high school kids play on are the same dimensions as major league players play on, so that is quite challenging for 15 to 18 year lod athletes. 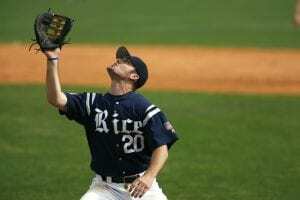 Good baseball coaches realize that outfielders have more responsibilities than most think and often the best athletes end up in the outfield at the high school level. It is important that youth coaches recognize this and stress that to young players, who may think otherwise. 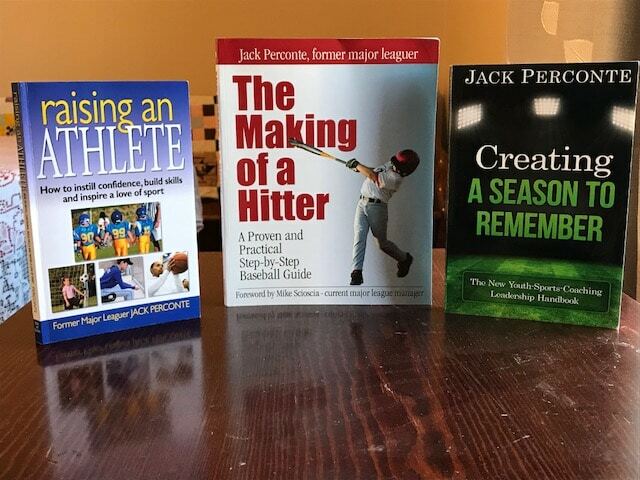 A good way to ensure a young player has a better shot at making the high school team is by teaching them to judge a fly ball, do a lot of long tosses, and inspire a love of running down high fly balls. Of course, there are three outfield positions and only one of all the others, so learning to play the outfield like Mookie Betts of the Boston Red Sox is not a bad idea. Mookie was moved to the outfield because the great Dustin Pedroia was an established 2nd baseman and as mentioned, only one guy can play second base at the same time. Mookie has gone on to become one of the best defensive outfielders in the game, as well as the 2018 Most Valuable Player. 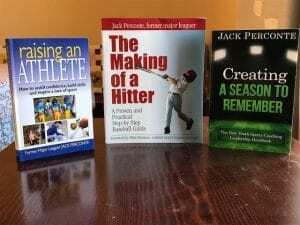 It reinforces the point that the best athletes often end up in the outfield, so kids must be told that, so they do not feel like they are no good or being punished when they play the outfield. With beginner players, it is best to use softer type baseballs, when teaching outfield play. With that, coaches can throw balls higher as in a game, and not feat that players will be struck in the head, It only takes getting beaned once by a hard baseball to deter kids from wanting to get under the ball, play outfield, or even to want to continue playing baseball. Indoors where lighting may be an issue it is best to use a softer ball as well as when there is what’s known as a high sky (no clouds) and a lot of sun. The sun and wind are obstacles that make catching fly balls a greater challenge even for experienced ballplayers. 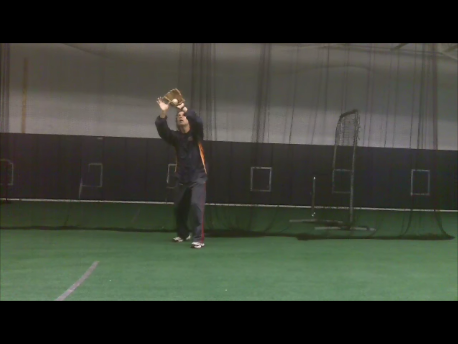 Following are some great flyball drills that will develop players into adept outfielders. 1. 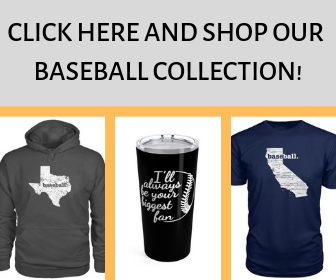 Fungo and batting practice drill – Of course, the first responsibility is to catch any ball, be it a fly ball, line drive, or ground ball that comes into their area. The first step is to hit a variety of “fungo” balls to an outfielder to help them learn to judge fly balls and line drives, as well as fielding ground balls. Along with this outfield drill, coaches should have fielders play batted balls during batting practice, as in a game, to get more game-like outfield practice. Teaching players to get into ready position is key, too. 2. Communication drill – Learning to communicate with other fielders on batted balls is paramount for safety reasons and for getting outs. Coaches should set up infielders and outfielders and hit (or throw) fly balls between players, teaching them to call for balls, get out of the way when others call it, who is in charge on mutually called balls and backing up after getting out of the way. Using the same yelled words on balls is necessary. Generally, “I got it” and “Take it” are the terms to use, should be yelled loudly and more than once. 3. Back up Drill – Outfielders must learn to back up all thrown and batted balls in the infield. Practice this with simulated baserunning situations. Coaches hit infield practice with, or without runners, while outfielders practice backing up all batted and thrown balls. Coaches direct outfielders on where they should be on each game -simulated play. 4. 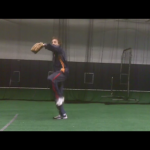 Groundball outfield drills – there are four fielding drills outfielders must practice on ground balls to the outfield. A. Down on knee – for plays with nobody on base outfielders can drop their non-throwing side knee to be sure the ball cannot get by, before hopping up quickly to return the ball back to the infield. 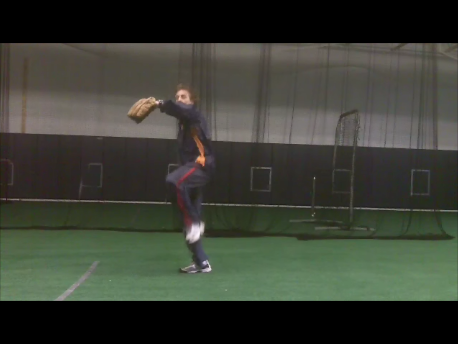 C. Spin drill – outfielders often have to cut balls off in the gaps, or down the lines, only to have to spin and make a quick, strong throw to a base. 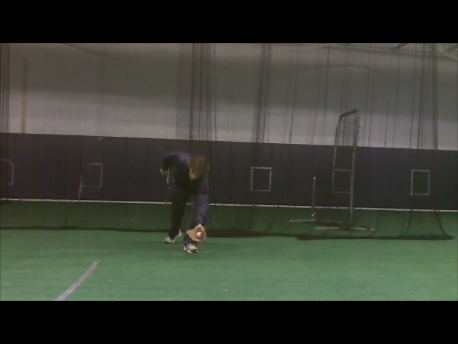 Outfielders are hit balls to their left and right to practice this catch, spin, and throw outfield drill. D. Do or die play – when players need to charge balls “all out” they catch the ball at full speed on the outside of their glove side with glove only (not two hands) and take a double hop on their throwing side leg as they gather themselves to make a strong throw. This is called the “do or die” because it generally means the game is on the line and players have to be super aggressive to throw the runner out. Allowing the ball to possibly get by them is of no consequence as the game is over if they miss it. 5. Cut off drill – very important for successful outfield and team play is the ability to hit cutoff players for possible relays. Coaches take an infield and outfield practice, with or without runners, as infielders practice lining up to the correct bases as outfielders practice throwing to and through cut-off men. 6. Tag up fly ball drill – coaches set up a base runner at 3rd base and have them tag up on fly balls, as outfielders practice getting behind the ball, moving into it, catching balls on their throwing side with two hands and throwing to the base that the runner is advancing to. 7. Shoestring, dive or slide drill – it is difficult to practice dive plays because of the risk of injury. However, the practice of shoestring and sliding catches can be done with soft hit fly balls where players practice whether to reach and make a shoestring catch or slide, as into a base and catch balls. Any headfirst dive practice should involve players moving only a short distance, so the risks of hard-falling injuries are minimal. 8. Crow hop drill – Many kids try to get rid of the ball so quickly when strong outfield throws are necessary that they do not take a strong crow hop necessary to get the most on the throw. Learning to take a good strong outfield crow hop is best practiced up close at first and when playing catch, before moving back and practicing the crow hop on rolled balls. It may be best to have young players exaggerate this crow hop at first and set up like a pitcher with the high knee lift, before stepping forward to throw. 9. Long arm throw drill – many kids short arm the outfield throw instead of taking the time to get a strong, long-armed throw off. Similar to the previous drill and combining this with the crow hop drill, players begin with both arms extended and hop on their rear foot a few times until the coach yells throw. 10. Fence drill – having kids approach the home run, or foul ball fence, to catch fly balls is best done with players standing near them before coaches throw balls up near the fence. Practicing jumping to catch these balls is a fun and necessary to include when doing outfield drills. For coaches, who are not proficient in hitting balls to outfielders, it is best to throw balls instead when practicing outfield drills to get more repetitions. Young outfielders must be taught to anticipate which base to throw balls before plays so no indecision occurs and the ball is thrown back to the infield or base as quickly as possible. As mentioned, outfield practice is often “taken for granted,” but good baseball coaches insist on doing these valuable outfield drills.